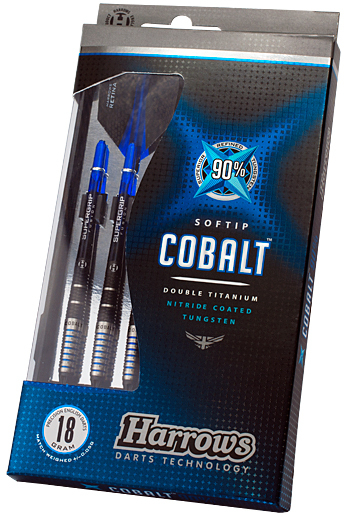 Cobalt's elegance, the finest 90% Tungsten goes through a 6-stage process. 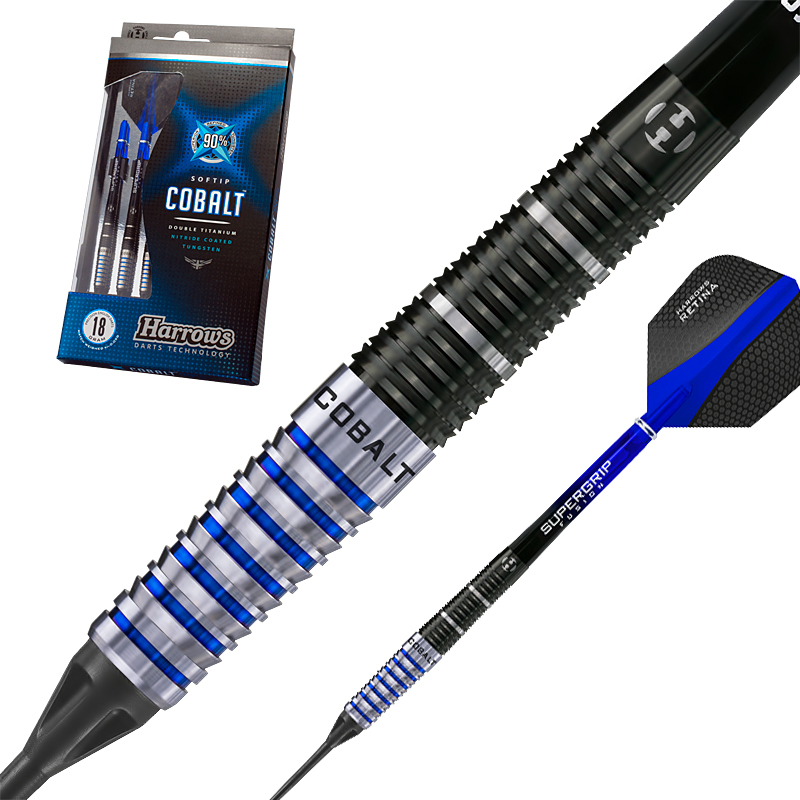 The front of the dart is turned then it is treated with a tough, blue titanium nitride coating and re-machined to leave a stunning dual function grip. 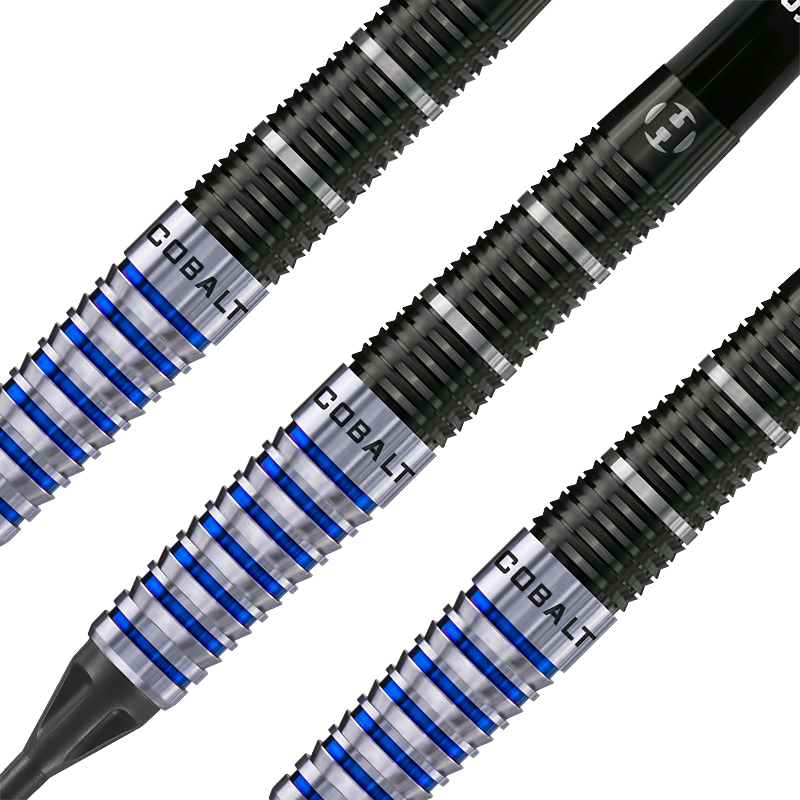 The darts are matched weighed + or - .05 grams and fitted with Supergrip shafts and Retina flights..